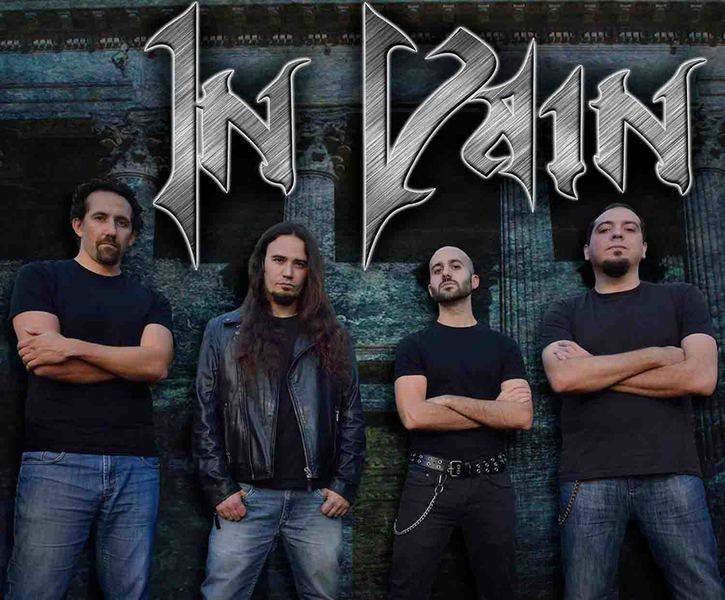 In Vain began with a bunch of childhood friends (Dani, Fabio and Álex). At high school their music likings moved to Hard Rock and Heavy Metal, and so Dani started to play the guitar, and soon, Álex joined him. Around this time they met Usama, a high school mate who joined them playing the guitar too, but later he would leave it to play the bass.These were hard times, no place to practice, no drums and bad quality instruments. Then in Rivas, their home town, the city council built rehearsal premises, where they could practice as a band at least once a week. With drums and no drummer, Fabio had to take this role, even though what he played was the keyboards. 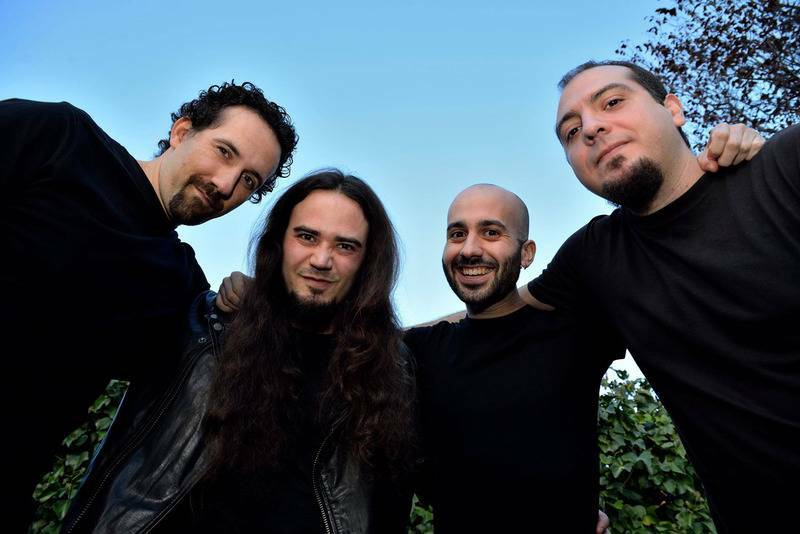 A name was needed for the band, so N.G., a name which came out from a joke, was temporally chosen, integrated by Dani and Álex playing the guitars, Usama playing the bass and Fabio (who actually played the keyboards) as the drummer, still with no vocalist.In 2002 Álex left the band for studying reasons, and Moncho, guitar player from the band “Profecía”, was the one who replaced him. Later Álex rejoined the band and, with Dani as guitar player and provisional vocalist, Moncho and Álex playing the guitar, Usama playing the bass and Fabio as the drummer, a first complete formation was established, so they started playing live, and at the same time, each one started taking music lessons.At the end of 2003, in one of their shows they met Teo (drummer of the Punk Rock band “Preaching in Pants”), and he became the new drummer of the still called N.G. formation, so Fabio moved to keyboards at last. Now with six members, the name changed to In Vain, and Dani became the vocalist permanently. Since then they played several live shows and recorded their first demo, “Spirit of Earth”, with their first four songs.In 2005, the band continued practising, playing live and composed new songs, being its style classic heavy metal, as the one played in the 80’s by great bands like Iron Maiden or Running Wild. 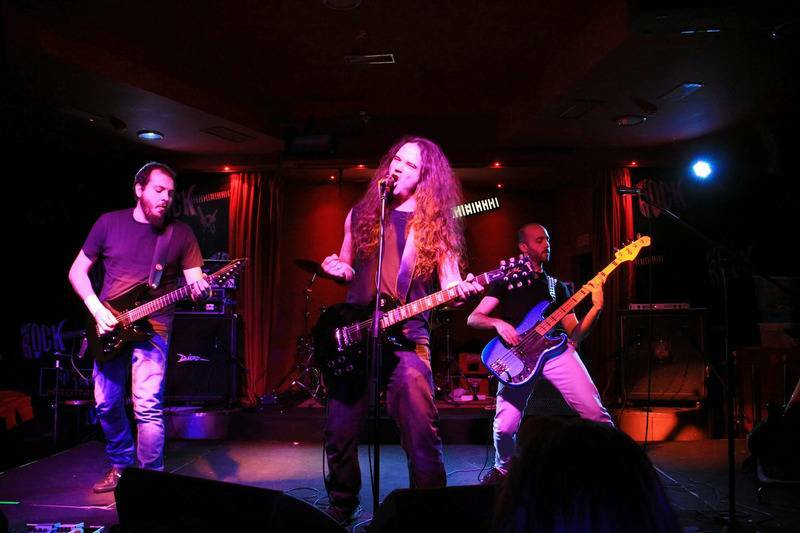 In September they participated in the 8th Rivas Vaciamadrid Pop-Rock Contest, with more than 100 bands, winning the price for the best local band.During 2006, some changes occurs in the band's mentality. They introduce new elements in the compositions, mainly thrash, and they play live for larger audiences, playing even near Paris along some local bands. All this make the In Vain project a serious reality, always trying to get further.After this year of evolution come the greatest successes of In Vain in 2007. They publish their second demo, 'Dawn of Misery', with a professional booklet and a much better sound with respect to 'Spirit of Earth'. With this demo, the band wins again the prize for the best local band in the PopRock contest of Rivas, the third prize in the Popzuelo contest and they win at Moralrock'07, in which besides the cash prize, In Vain plays live for more than 500 people in a concert in which the head band is Rosendo Mercado. Moreover, the demo has very good reviews and is well sold, so the band is thinking to record an album in studio in 2008.While recording the first album, Alejandro Sastre and David Hurtado left the band, but Daniel B. Martín joined it as lead guitar. 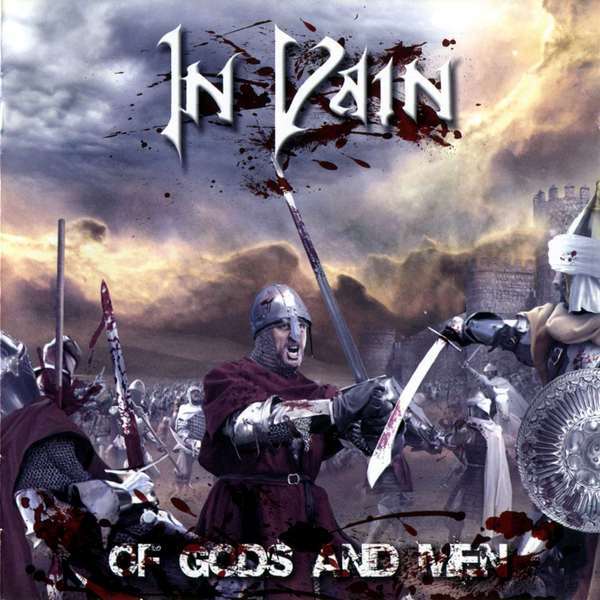 After a long recording process, on November 2009 "Of Gods and Men" was released, with eight brand new tracks where the band continue evolving through a harder sound and its own style starts to be defined. The album is distributed in Spain and, in a lower scale, in Europe.During the following 2 years, the band is dedicated to play concerts around Spain, and the album not only reaches Europe, but even Japan. At the same time, the second album is being composed, but another member leaves the band, Usama. His position is filled temporary for the concerts and for the recording of this album, In Death We Trust, which is released at January 2012, just when a new bass player arrives at the band, Mario Arredondo.With the band completed again and with a new released album, In Vain faces the future with renewed hopes, always trying to reach new audiences. 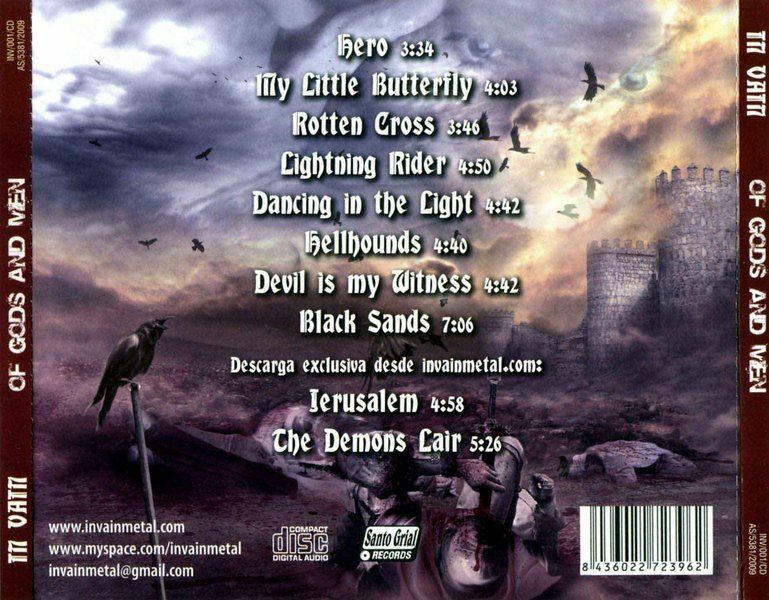 First studio album of the spanish heavy metal band! 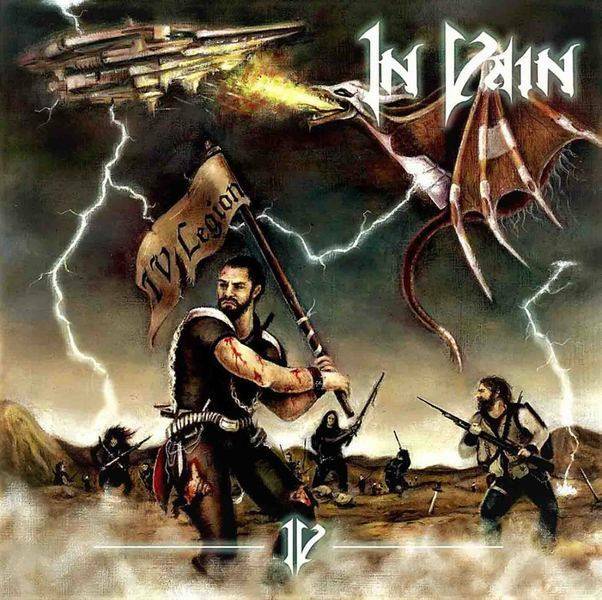 A wonderful piece of power metal.The first release of IN VAIN started in 2009 with the album `Of Gods And Men`. Musically, the album sounds very mature and goal-oriented - driving heavy metal with melodic components (clear German Metal elements) and a discreetly placed keyboard support that rounds off what is offered harmoniously. The boys are clearly geared towards early GAMMA RAY, very early SONATA ARCTICA, rough TIERRA SANTA, a bit of RUNNING WILD and some IRON MAIDEN cross-references. Sometimes the Spaniards are allowed a slight prog infatuation, such as `Black Sands`. However, the vocals are rockier and rougher than the bands mentioned, giving the material a much tougher edge. For a debut, it's an impressive album that should appeal to fans of solid, impulsive heavy metal with a definite Power Metal list. Especially since it is NOT based on children's song Tralala choruses and melodies, but already delivers a crisp hardness! Also sound technically everything is very clean and powerful produced! The debut therefore does not need to avoid international comparisons. Incidentally, one sings in English! Blending aggressive metal riffing with power metal keyboards and virtuosity, In Vain has created a superb fusion of the genres on "In Death We Trust." Fans of both styles are going to find plenty to love here.Guitarists Daniel Cordon (who also sings quite capably) and Daniel B. Martin are most definitely the stars here. 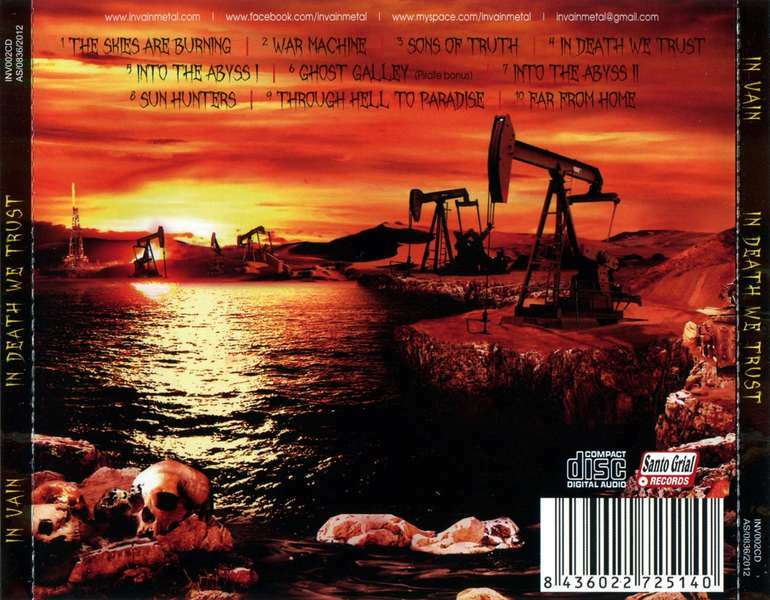 The air-raid siren of "The Skies Are Burning" is likely there to warn you about the massive riff bomb the two are about to drop on you in "War Machine," which shows off the band's self-avowed Megadeth influence. The little fills and solos that wind through the speedy main riff are absolutely fantastic. 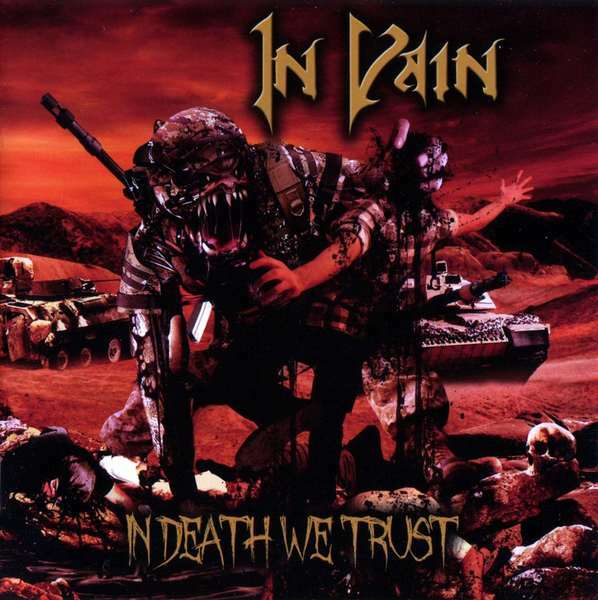 The title track, "In Death We Trust" also has a thrash feel, with a breakdown that evokes Slayer in some ways, while keyboardist Pablo Fernandez works some splendid background magic.Fernandez gradually becomes more important to the proceedings, with the two "Into The Abyss" versions — especially the first one — showing how surprisingly well keyboards can fit into a thrash framework. Especially impressive is the way he interacts with Cordon and Martin on "Ghost Galley (Pirate Bonus). As you might expect, his presence is most felt in the more traditionally power metal tracks like "Through Hell To Paradise" and the speedy "Sons Of Truth. "There's not a lot to complain about here, save that the album does end on its most lightweight track, "Far From Home," which, admittedly does feature a gorgeous piano part by Fernandez. Also, the bluesy opening of "Sun Hunters" feels a little out of place, but that soon passes.In Vain's "In Death We Trust" is a shredding, thrashing work of angry art that transcends genres. Thrash and power metal fans will delight in this one.Highs: "War Machine," "In Death We Trust" and "Into The Abyss. "Lows: The lightweight closer, "Far From Home. "Bottom line: An excellent album blending thrash anger with power metal keyboards and virtuosity. 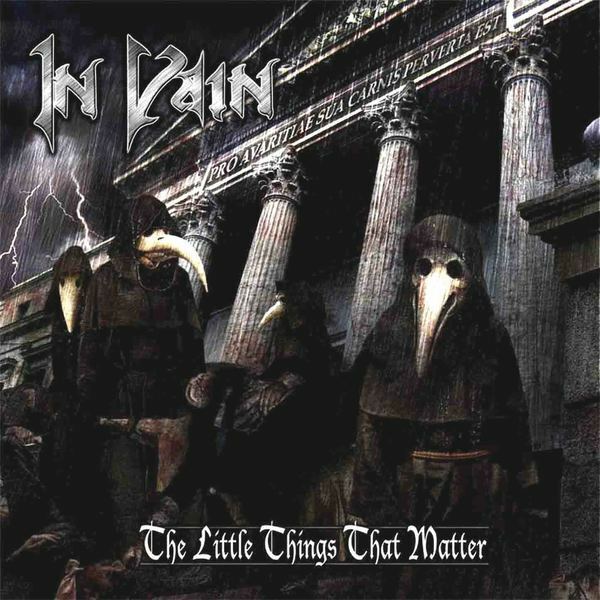 Pillagers and fornicators, show your steel for the rise of the Spanish metallum IN VAIN!With two albums behind them, IN VAIN have released their third and latest album to date, "The Little Things That Matter". Without their fellow keyboardist backing them up, their sound got heavier than ever. It is a brave attempt, and it seems that IN VAIN have gotten themselves set for the occasion, and as such, "The Little Things That Matter" stands as the undisputed proof that Old School Metal is still breathing fire.By its definition, "The Little Things That Matter" is more of a Thrash-esque release than the previous releases of IN VAIN, but they still carry the gems that made them such a lucid light to the Spanish metal scene over the years, and that's their musical innovation, especially in the more vivid tracks, like "Guardian Angels", which emphasizes IN VAIN's true creativity put into action.No doubts, IN VAIN have made a clear statement with "The Little Things That Matter"; whether it's the mighty bass drum blasting, the archaic guitar riffs or the chivalric lyrics theme that uncovered the true might of IN VAIN, something really caught my attention in this release. "The Little Things That Matter" is, as previous said, an up-tempo release, and appropriately, it doesn't lose pace. That fact may just be what draws IN VAIN a few steps back – there is a need to elaborate slower music with their sound. Moreover, the most probable con that "The Little Things That Matter" misses, is attention. It's almost offending at times to think that many fans of this genre miss out this band, just because their albums aren't promoted and sold overseas.With a release as sharp as "The Little Things That Matter", there can be no ruling IN VAIN out of the better background musicians this year. With all of this being said, the band may need your support, so set sail towards the nearest shop that sells this terrific piece! Fourth studio album of the Spanish heavy metal band! A common saying is: "Nobody is a prophet in their land", and this happens very often in many aspects, the one that corresponds to the musical thing that is our responsibility on this occasion is not the exception and with this an effort is included Titanic sometimes to keep going and not be forgotten. IN VAIN, is an original band from Madrid, which has been evolving until reaching this fourth production, "IV", going from being a cover band to having their own compositions that are extraordinary and that can rub shoulders with any other band on the planet.Its members are: Daniel Cordón (voice and guitar), Daniel B. Martín (guitar), Teo Seoane (drums) and Mario Arredondo (bass) have always worked to get as far as possible, and in 2009 they recorded their album debut entitled "Of Gods And Men", where the sounds of classical metal are fused with the power metal of the 90s and the most melodic thrash of the MEGADETH school. Then in January 2012 they released their second album, 'In Death We Trust', which further emphasizes the aggressiveness acquired by the band over the years, and with this they achieved national and international recognition.With their quartet formation, they have left aside the most classic aspect of their music, and focusing exclusively on speed and thrash metal, which are still well mixed with epic and melodic choirs of classic power metal taking them to share scenarios with bands like FREEDOM CALL, ASTRAL DOORS, AXXIS or STEEL WING.In this year 2017 "IV" has been released, the most powerful and surprising album of the band. The best production ever achieved in his career and the best songs they have done so far, make an album that will please all fans of speed and powerful German power metal and a little American, DEATH ANGEL style.The album begins with "The IV Legion", intro with all the musical proposal, tuned guitars, powerful percussion and an audible bass that is also tuned for the occasion, suitable to start the live shows;"Blood & Steel", cruising speed to start, quite sound thrash and fluctuating the power metal of classic cut, cruelty of riffs from start to finish; "Frozen Wings", the vocalization is incredible to where Daniel Cordón puts the notes, fast and challenging theme with some catchy scales, "The Void Inside"; pure metal of beginning with the choirs well coordinated in a "choir-dialogue" with enough adrenaline in their intonations that is developed optimally in the song, "To Be King"; Speed ​​Metal of a level I would dare to say almost international, they are good musicians without hesitation, the oscillations of the guitars are excellent; "A New Beginning", which shouted at the beginning, reminds me at the beginning of a man by the name of Araya, my favorite subject because of the variations in the guitars always well fitted with the rest of the chords; "In Vain", typical trash style, almost with power lyrics, a good mix that shows why this band continues to evolve and in the advance of national bands;"Through Our Veins", the force is maintained at this height, there is no combustion that can with this realization, powerful in climbing of guitar compasses and those broad technical drums; "The Huntress Legacy", the changes of rhythm are maintained without losing unity and coordination; "Assembled For War", the tuning of the home radio is like to tell us that you will not find IN VAIN on "the usual dial", but if you discover them it will be worth listening to them, fast, short and lethal song. A point and final that leaves them with the duties made in a good proposal of this "revival" of genres that is taking place. "IV" is a good record of Hurricane Thrash, with its own atmosphere, endowed with impetus and power in the voice and rhythms. They are good artists who deserve our attention doing what they know best how to make music. It touches to survive that it is not easy at this time, but they are good contenders in any scenario. They wait for an opportunity like everyone else in life, to be Prophets in their land. A band to progress, with really interesting intervals, hoping that they resist in a market that is gradually becoming saturated.